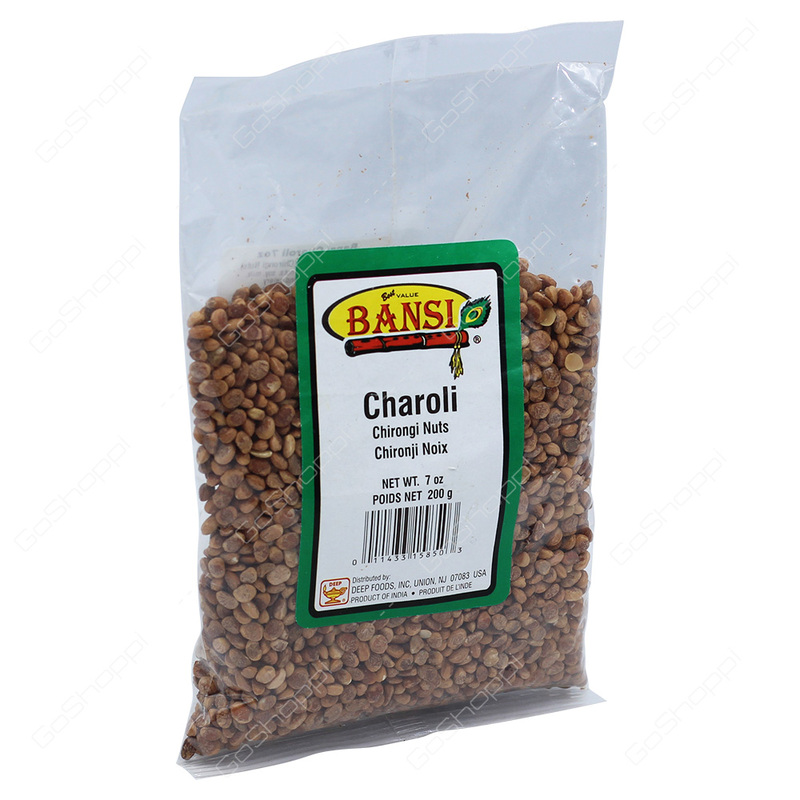 Bansi Charoli derived from crushed Charoli seeds is used as spice. It is usually sweet in taste and therefore used as topping for sweets. The flavor is somewhat like hazelnuts and pistachios. The seeds are used to prepare savory dishes like Kulfi, Kheer and Payasam.